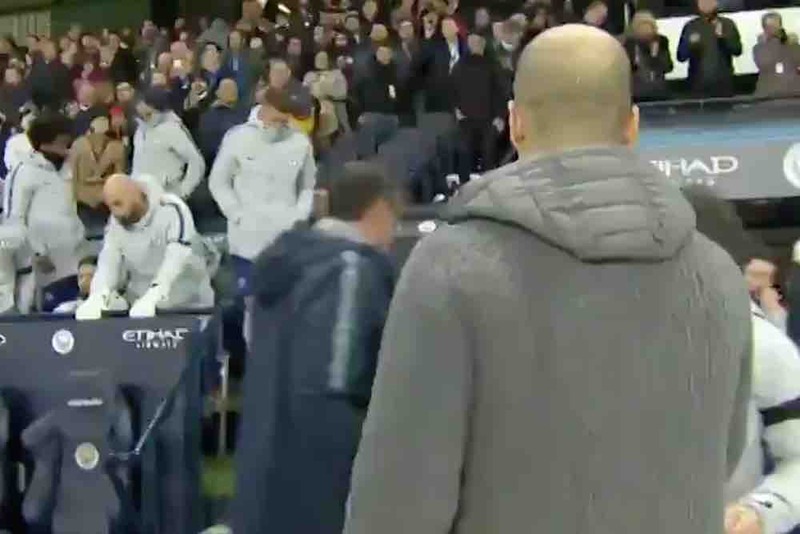 Chelsea coach Maurizio Sarri declined to shake Manchester City boss Pep Guardiola’s hand after a 6-0 defeat at the Etihad Stadium this afternoon. The Italian darted straight down the tunnel, leaving his assistant Gianfranco Zola to exchange pleasantries with Guardiola. In his post-match press conference, Sarri said he had not seen Guardiola’s outstretched arm and was simply heading back to the dressing room as quickly as possible after his side’s thrashing. He said: “I didn’t see him at the time but I will go to say hello to him later, as usual. You can see the handshake snub in the video below.